The start of Operation S.U.M.M.E.R 2018 for the vehicular combat MMO War Thunder. 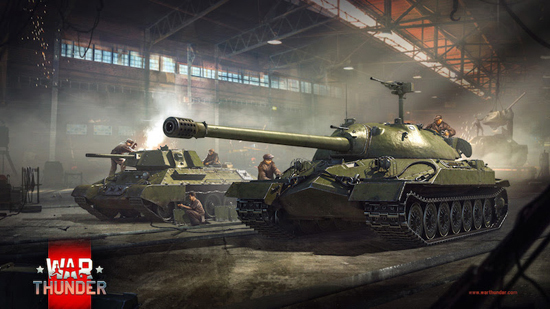 During the two-week event, which lasts until August 5, players can unlock two rare premium tanks simply by playing the game. This year, players can obtain both the up-armored medium T-34E and the super-heavy IS-7 tank, as well as plenty of other prizes like boosters, skins, decorations, decals and more. To get the rare tanks, players will have to show some real craftsmanship, given that they’ll have to construct them themselves. Sometimes, finding the right option to go with can be pretty obvious - a tank gun certainly doesn’t need two muzzle brakes for one barrel, for example. While constructing other parts, however, players will have to delve a bit deeper into their knowledge about the tanks they wish to build. What shapes do the hatches on the IS-7’s turret have? How many shock absorbers are there for each track? To answer these questions, War Thunder’s virtual engineers can take a look at the War Thunder website or ask some of the experts in the community on the official forum or our social media channels. Those players not interested in the T-34E can exchange the vehicle voucher they receive for completing the crafting process for a voucher granting one of the following three premium vehicles - the German Sd.Kfz. 234/4, the U.S. M8 Greyhound or the British AEC Mk.II.